Our facility is conveniently located near 1-5, 1-405 and Hwy 167. 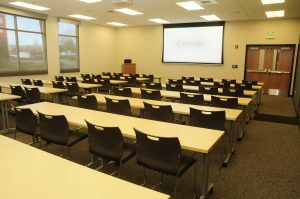 We provide full-service facilities at reasonable rates featuring state-of-the-art technology with large format projection systems, wireless microphones and high fidelity speaker systems, wireless touch-panel control, and automatic window shades. WSADA offers casual to full-service dining options via Ingallina’s and ACT3 Catering. We will coordinate food and beverage needs on your behalf directly with the caterer and pass the actual costs on to you. 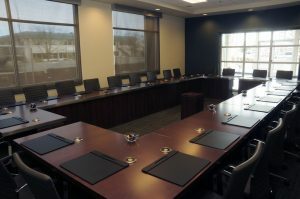 Small Conference Room accommodates informal meetings for up to 10 people.